If your car’s body just got damaged, the default reaction is “well, I need to take it to a car body shop.” But that’s not always the right choice. 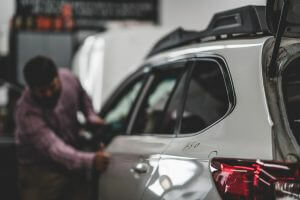 Car body and collision shops provide a great service, but they aren’t the right fit for dents, dings, bends, and irregularities on your car’s body. That’s where paintless dent repair comes in. We solve your car body’s dent problems. But what is the true difference between car body shops vs. paintless dent repair? It comes down to 3 main factors. Paintless dent repair (PDR) providers are focused on dents. That’s our specialty. We have unique tools and techniques to remove dents. We don’t do windshields, door replacement, paint repair, collision repair or any of the dozens of operations that a car body might need. PDR providers can remove dents faster and more effectively than a body shop trying to fit a dent repair in between a door replacement and a paint job. Because of our focus, PDR providers have the right tools and techniques for the job. We have speciialized tools and experience to pull, push and massage the dents out of your car’s body. This means that they get removed with your car’s original paint and body remaining in place. That’s where the name comes from – it’s paintless dent repair. In contrast, body shops take a chemical compound called Bondo that physically fills in the dent. This process requires painting-over them compound and refinishing the metal. It’s a compound that effectively becomes part of your car’s body. The body shop process requires much more time, expensive chemicals and overlays a compound on top of your original car body. There are instances where Bondo is the right solution, but often it’s expensive overkill compared to working with the original car body. 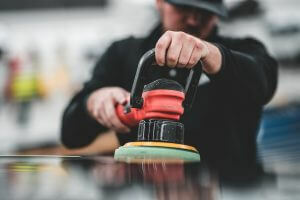 Due to lower overhead, no expensive chemicals, and service focus, Paintless Dent Repair services can offer a better value on dent repair than car body shops. Our costs are based around time, expertise, dent type and care type. EZ Dent has excellent working relationships with some great body shops. For many car body repairs, only body shops have the equipment and resources to solve the problem. We may be biased, but when it comes to dent repair, we’d love to talk!